CONGRATULATIONS! You are visiting a unique website – the ONLY website exclusively dedicated to parts, accessories and repair services for the Ecoquest , Alpine and Living Air line of premier air purifier models. Here you will find the parts and accessories you need in order to keep your Fresh Air, XL-15, Breeze, Flair and other models of air purifiers running at peak efficiency. All parts are in stock and shipped directly from our warehouse. You say your air purifier is not working? Don't worry. 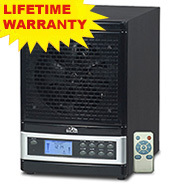 Rely with confidence on Airpurifierrepair.com repair experts to quickly put things right at a fair price. HELPFUL HINTS AND PRODUCTS. You already know that air purifiers such as the Living Air Purifiers perform the work of reducing or neutralizing unpleasant odors coming from pets, paint fumes, smog, exhaust fumes and other sources. As with Ecoquest Air Purifiers they contribute to more comfortable breathing by trapping airborne particles such as pollen, mold, mildew, bacteria, and fungus. To help you get the most out of your Ecoquest Air Purifier and Living Air Purifier we're pleased to offer the following suggestions on the some of the popular products and parts offered directly on this site. And please contact us if you have any questions on any of these products. THE USE AND CARE OF OZONE PLATES. Ozone plates perform an important function in your air purifier by oxidizing airborne pollutants. These plates also create the same clean fresh smell that you experience after a thundershower. Some folks may be concerned about ozone due to news coverage about the "ozone hole" in the atmosphere. But ozone it is safe and effective below the FDA and OSHA standards of 0.05 parts per million. In fact this is the amount of ozone you will find in a healthy outdoor environment. All ozone plates should be cleaned once a month. If your air purifier gets heavy use you should plan on replacing the ceramic ozone plates about every 1 to 2 years. You'll find a wide selection right here at the right price on this website. For ozone plate maintenance we recommend our specially formulated CR-05 cleaning solution, which is also ideal for cleaning your air purifier and its filter screens. 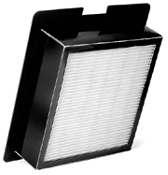 THE USE AND CARE OF HEPA FILTERS. 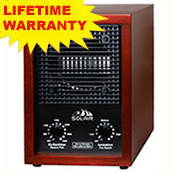 HEPA Filters (high efficiency particulate air) are the workhorses of air purifier systems. They trap extremely small airborne pollen and mold spores in their fabric and because of this they must be replaced on a regular basis. HEPA filters cannot be washed. But you can buy them right here at Airpurifierrepair.com and in quantity for extra savings Other popular products If you are handy with tools, you can order and install motors, fans, UV lamps and other replacement parts shipped directly from airpurifierrepair.com. 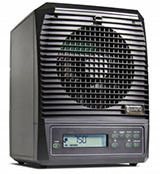 You'll find the part categories along with new and refurbished air purifier products on this page. Use our secure online ordering form. We ship quickly; offer a 30 days money back and a 100% satisfaction guarantee. Questions? Visit our FAQ page or contact us by phone, fax or email.